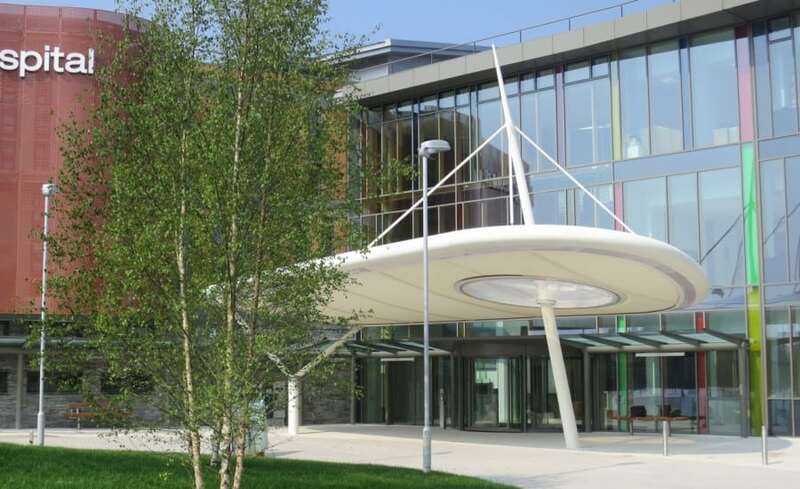 A tensile fabric structure was required to be installed outside the A&E department which would provide weather protection to ambulance crews, patients and visitors. 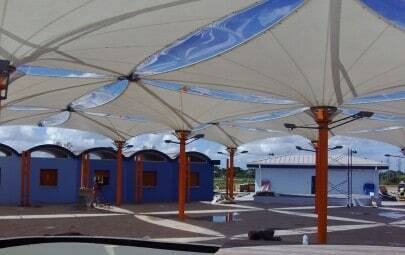 In total an area of 200sqm needed protection from wind, rain, snow and solar glare. The structure needed to be aesthetically pleasing and form a piece of art in itself that would fit in with the new modern complex while remaining tasteful and functional. 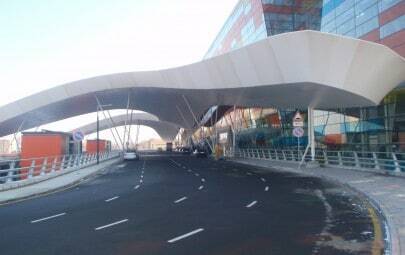 Tensile fabric was chosen as the ideal material to construct the structure. A clear requirement of the project was that any structure installed should require little maintenance throughout its lifespan, lasting at least 20-30 years. 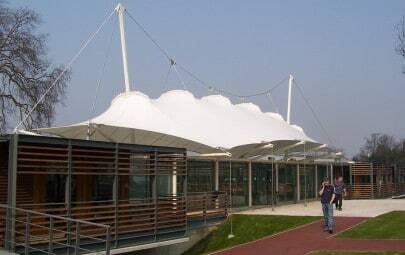 PTFE coated glass cloth was selected as the ideal material: a Teflon based membrane, it requires minimal maintenance and offers an impressive lifespan of 30 years plus – exceeding the clients requirements. In addition, as an aesthetically pleasing fabric it provides a stunning exterior for the ambulance canopy as well as meeting the necessary weather proof requirements. 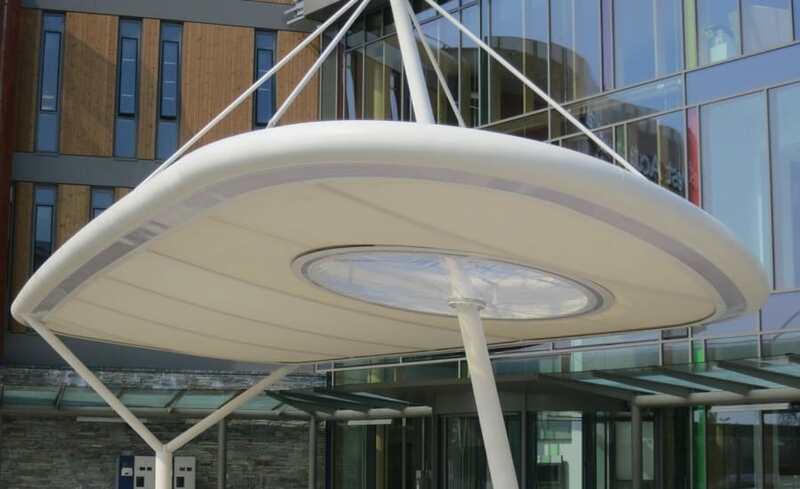 While being a functional ambulance crew and patient canopy the client wanted the structure to continue the modern appearance of the complex and so a circular ETFE rooflight was included in the design to fit around the central mast. ETFE foil is a technically advanced material which creates stunning translucent structures and is often used in cushion format with lighting to create this prominent feature. 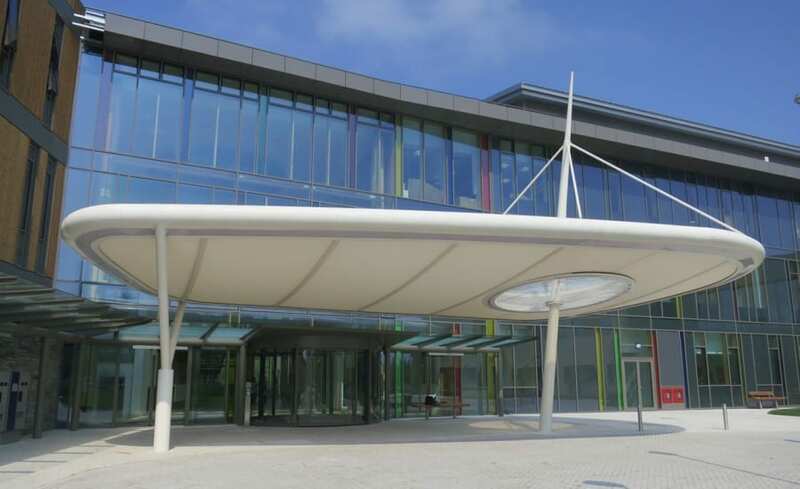 The project resulted in a stunning structure providing a stark contrast from the usual ambulance entrance canopy, all involved are very pleased with the final structure. Winner of the 2012 International Achievement Awards (IAA) Award of Excellence.